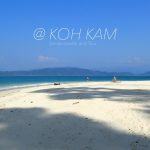 The Kam Archipelago consists of five islands and is part of the Laem Son National Park in the province of Ranong, 70 km north of Khao Lak. 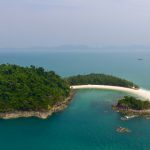 Both the mainland part of Laem Son Park, consisting of imposing jungle-covered mountains, and the five islands in the Andman Sea are not developed yet and hardly visited by foreigners. The majority of the guests are local residents who enjoy their Sundays and holidays there. Also exclusive small groups from other parts of Thailand are sometimes encountered. 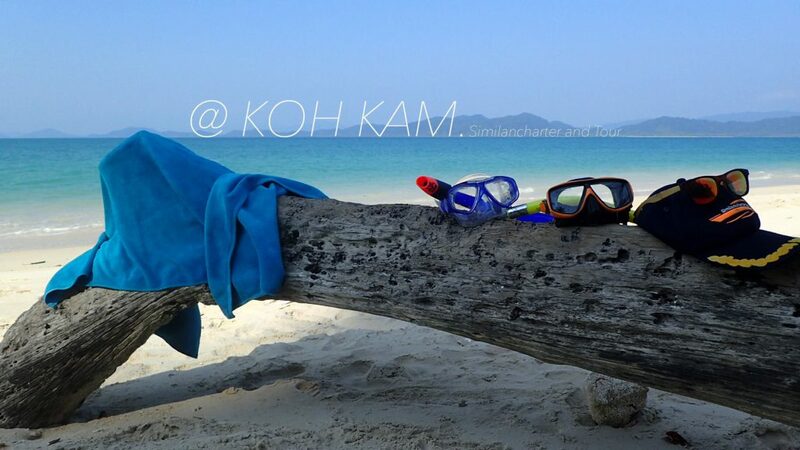 In addition to some local residents who travel by small long tail boats, Similancharter & Tour is the only licensed tour provider who has the necessary knowledge to approach the islands by sea. 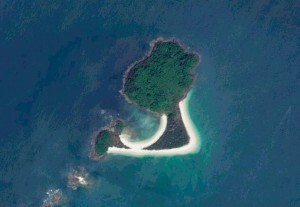 The sea bed around the islands is very shallow and dotted with near-surface rocks. Our captains have the necessary local knowledge to navigate these waters. 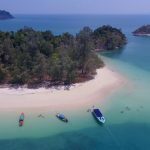 Therefore we can guarantee that for the foreseeable future, we will be the only tour operator for day trips to this unknown archipelago and offer you an amazing island experience, which is unparalleled in Thailand. 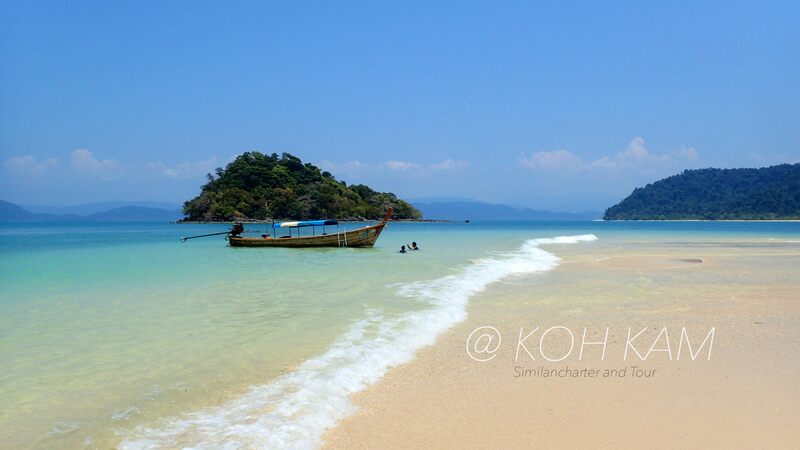 Koh Kam Tok forms a beautiful lagoon with two beaches and a stunning scenery. This is definitely the highlight of every Koh kam Tour. We will spend the lunchtime on this island and give you enough time to enjoy and discover this amazing place in your own time. The outer rocks make for interesting snorkeling, the lagoon itself invites for swimming. 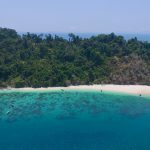 The outer beaches provide a beautiful view over the mountains on the mainland with the azure waters of the Andaman Sea in the foreground. If you want to send some selfies to your colleagues at home, this is the best place to take them. Wednesdays, Saturdays and Sundays. Includes all transfers, equipment, park fees and insurance. 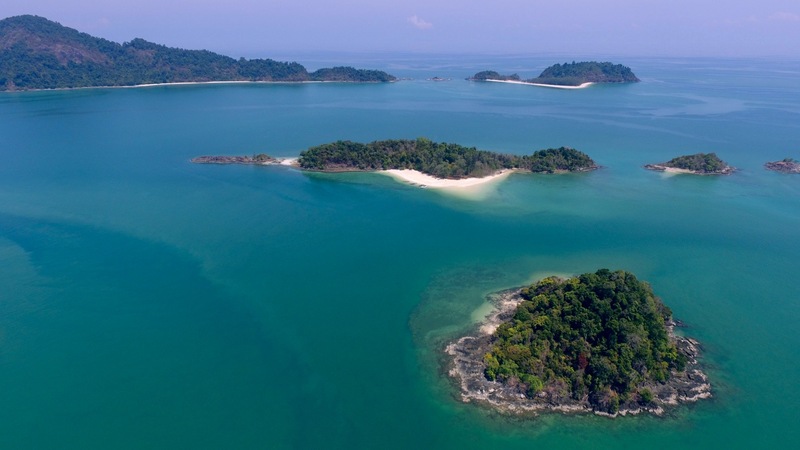 The Laem Son National Park stretches over 100 km on the west coast of Thailand where the provinces Phang-Nga and Ranong meet and covers an area of 350 Km². 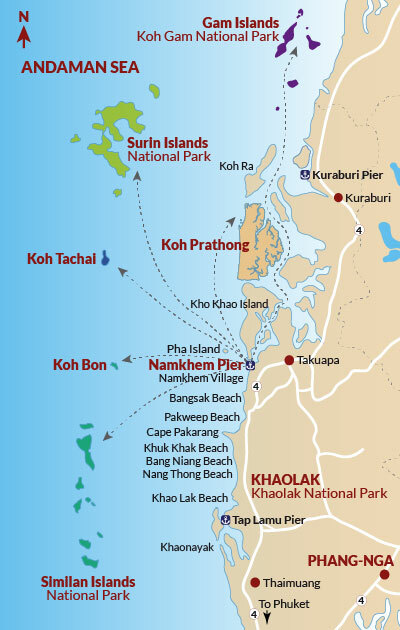 The Kam archipelago is only a small part of this huge national park, which includes another dozen islands and a large piece of mainland mountains. 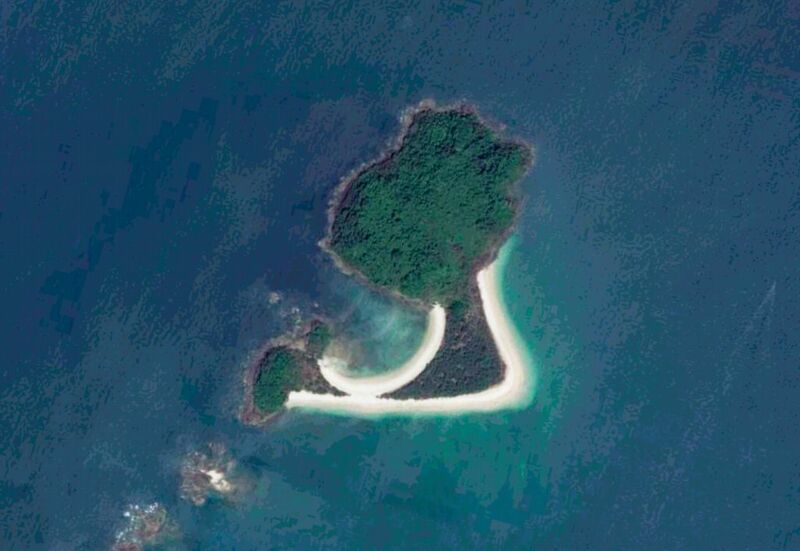 In the past, the Kam islands were avoided as there are neither natural resources nor arable land, the many near-surface rocks are a nightmare for offshore shipping. On one of the islands the Japanese built a supply depot in the Second World War, hence this island now bears the official name “Koh Yipun”, in English: Japanese Island. In the travel season between Octobert and Mai, the beach and water quality is excellent and the water color often hauntingly beautiful. Nevertheless, because of the near mainland and the shallow waters, the visibility under water is generally less than 10 meters, even if it often has a different appearance from the surface. Despite the rather poor visibility under water, there is an amazing variety of marine life, including clownfish Nemo, honey comb morays, seahorses, high coral diversity and many many reef fish. 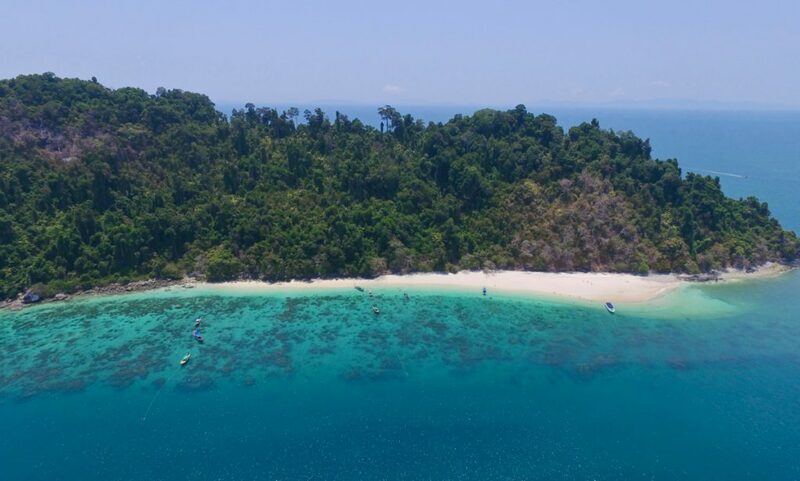 For experienced snorkelers this is a true paradise, especially by the striking difference of this ecosystem as opposed to the more remote islands. For beginner snorkellers, the low visibility can often seem a bit daunting. 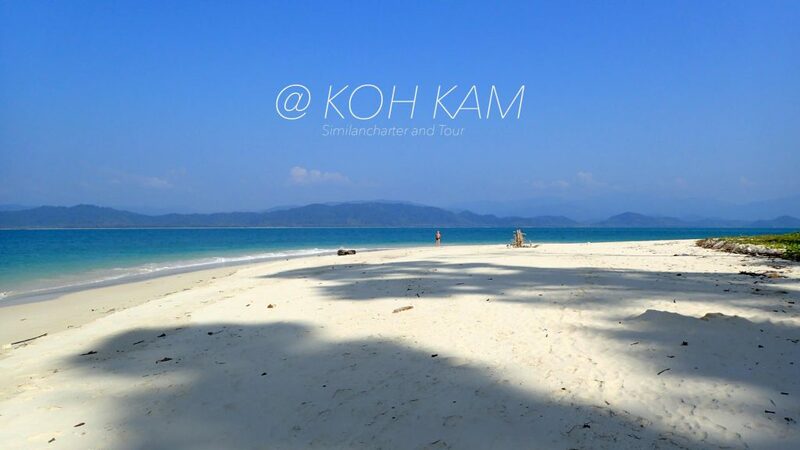 We recommend here to rather enjoy the solitude on innumerable beaches and the wonderful unspoilt views.